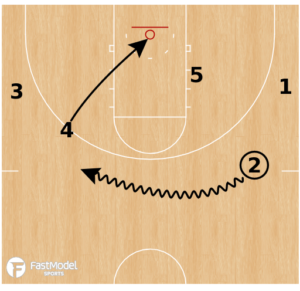 This man to man play was contributed by Dave Nedbalek, Assistant Men’s Basketball Coach at The University of Texas at Tyler, to the FastModel Sports Basketball Plays and Drills Library. 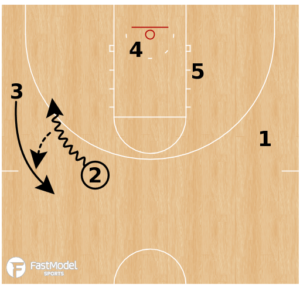 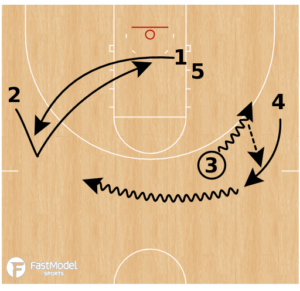 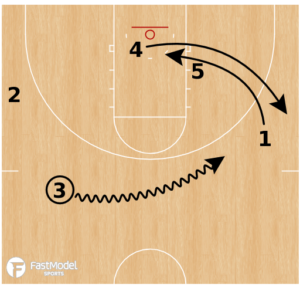 This set involves a great amount of false motion that can easily be used to create scoring opportunities if you look to exploit any missteps. 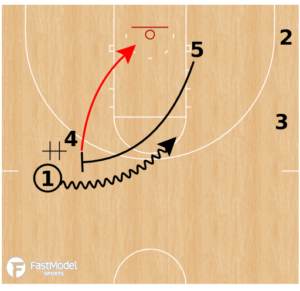 Have your players not rush the backdoor cuts especially on the weak side opposite of the big as this is a viable scoring cut. 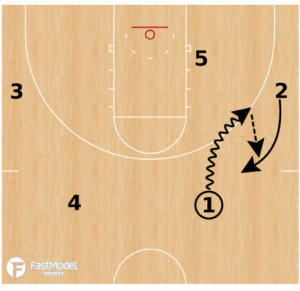 If there are any miscues on the hand offs the ball handler can easily fake the handoff and have a wide open lane to the rim.